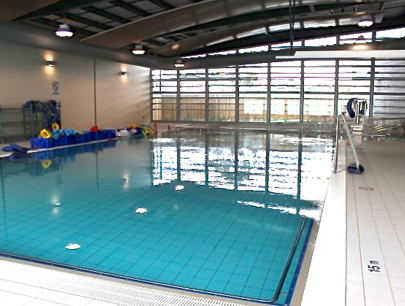 Hydrotherapy Solutions uses the purpose-built hydrotherapy pool at the Royal Talbot Rehabilitation Hospital. It is maintained at a comfortable 34 degrees celsius, and can be entered via steps (with rails) or a hydraulic hoist for those unable to manage stairs. Change rooms are spacious and equipped for the disabled, with rails and shower chairs easily accessible. Pool chemistry is monitored throughout the day and adheres to strict safety standards to ensure a clean and hygienic environment. To find the pool, enter via Entry 3 (near the coffee shop), walk down the long window-lined corridor to the lifts, and descend to level 2. You will see the pool at the end of the corridor as you exit the lift. If it is closed, you can wait on the seats near the lift until the physio arrives. Entry into Royal Talbot is via a boom-gate, where you take a ticket to enter. You can pay the $3 fee with credit card at the exit boom-gate, or with cash or card at the ticket machine in front of main reception just prior to exiting. The main car park is on your left as you drive into the facility, or there is another large car park if you keep following the road around to the right. The pool at the Health and Rehabilitation Centre (part of the Heidelberg Repatriation Hospital) opened in 2012. It is well equipped with ramp, steps with rails or hoist entry. 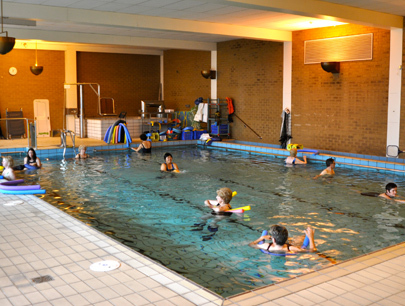 Specialised exercise equipment includes underwater bikes, wobble boards, weights, floats and straps for tethered running. The pool uses a high tech ozone filtration system which minimises the need for chemicals and is usually well tolerated by those sensitive to chlorine. Strict safety standards are adhered to, with water chemistry checked regularly throughout the day. Water temperature is kept at a comfortable 34 degrees celsius, with the surrounding air and disabled change rooms also heated. Lockers are available. Parking within Heidelberg Repat costs $4 for the first hour, $5 for 1-4 hours. There is ample parking within a short walk of the HRC building, which is on your right as you enter from Gate 5, Edwin Street. There is a pick-up and drop-off zone, as well as a taxi zone, at the front door. A parking payment point is also located at the door of the HRC, or you can use ticketless entry and exit with a credit card. Limited 2 hour free street parking is also available close by. © 2017 Hydrotherapy Solutions. All Rights Reserved.